Emily started blogging on The Lacquerologist around the same that I started blogging here for Jen Stem Photography. We found that every time we have been together since, we talk nonstop about our joint passions – blogging about what we love doing! 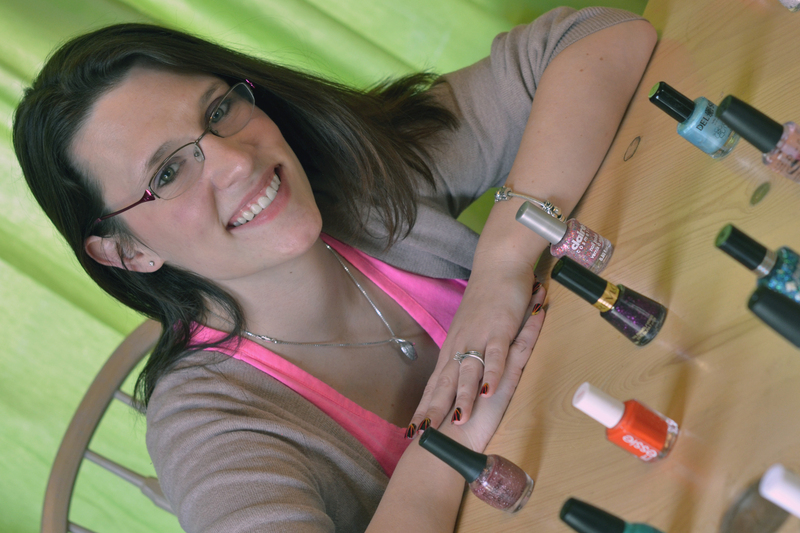 So, I am so excited to bring you a behind-the-scenes look at the person with the passion behind The Lacquerologist! Emily, The Lacquerologist, is married to one of my cousins and resides in the beautiful Midwestern United States. 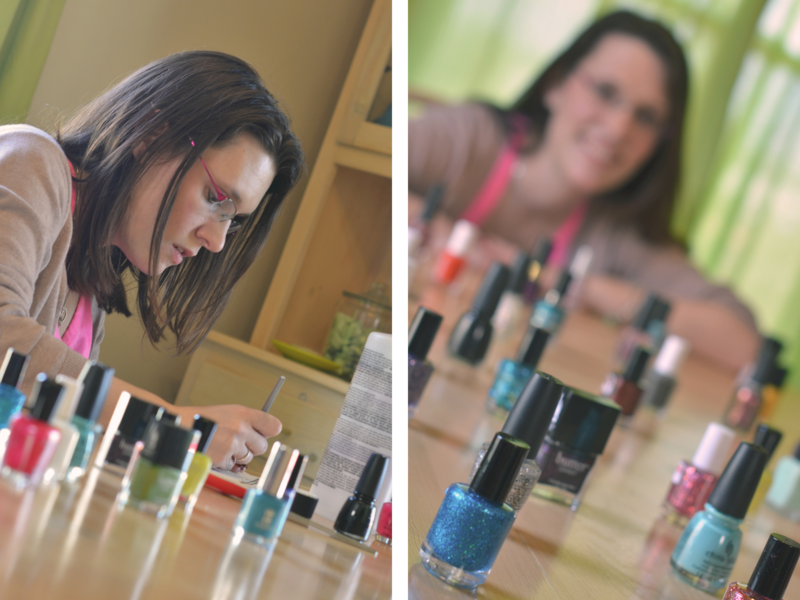 When she is not working on her nails or discovering new polishes to try, she is busy pursuing her master’s degree. Emily is the type of person who puts her heart and energy into everything that she does while maintaining a level of joy for life that is simply contagious. When I am around Emily, the world seems to be a brighter and greener place (both figuratively and literally–Emily is a huge fan of going green!). I love everything that Emily is doing with The Lacquerologist. From her blog, she shows nail art that inspires readers to try new products or designs. 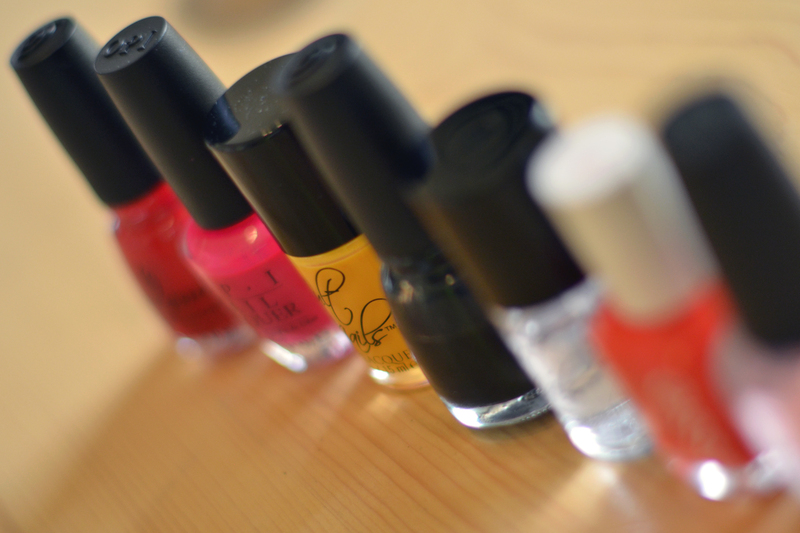 From her facebook and twitter, she is always updating her fans and followers on new giveaways and any other information that is important to the world of lacquer. Her posts are as creative as they are informative. I can’t wait to see what she will post about next! A little while back, I was able to spend an afternoon photographing The Lacquerologist at work. I hope that, when you look at the photos below, you are able to get a better glimpse into the surroundings where Emily’s creativity is at work. 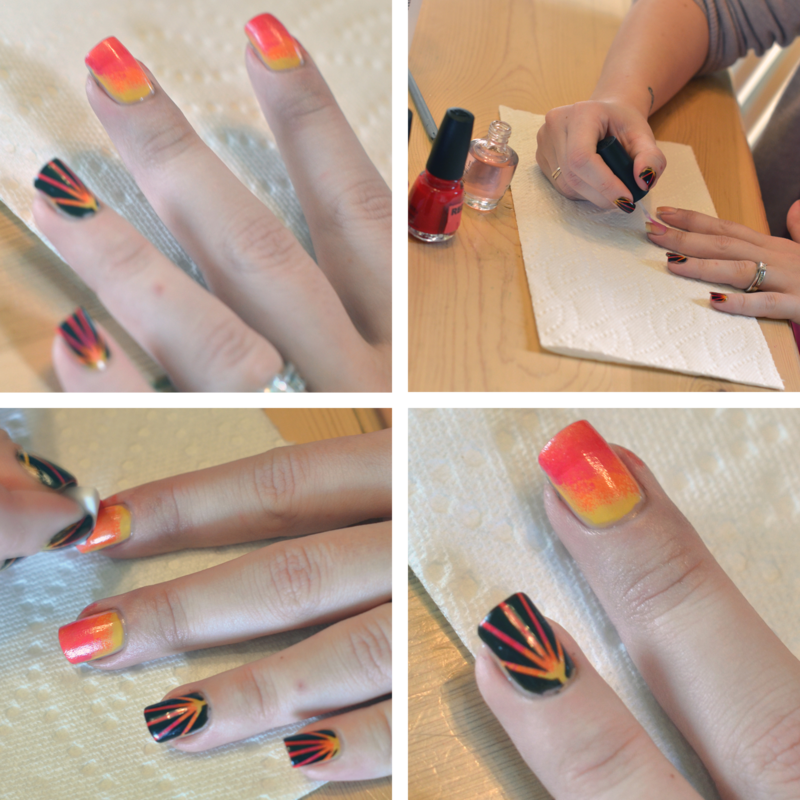 Below you will see the face behind the Lacquerologist, some candid photos I took around the room, and a wonderful new nail design called the sunset explosion mani that she is trying out. I had so much fun taking these pictures! 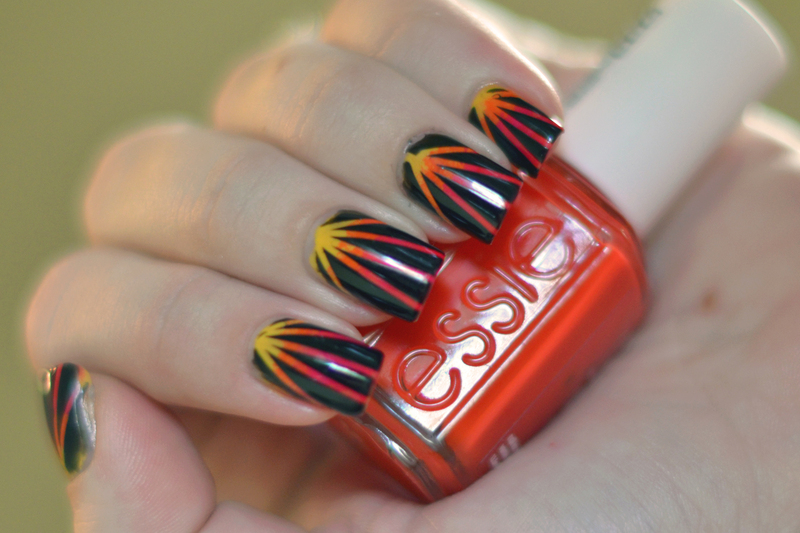 I can’t wait to try this out on my nails as well! 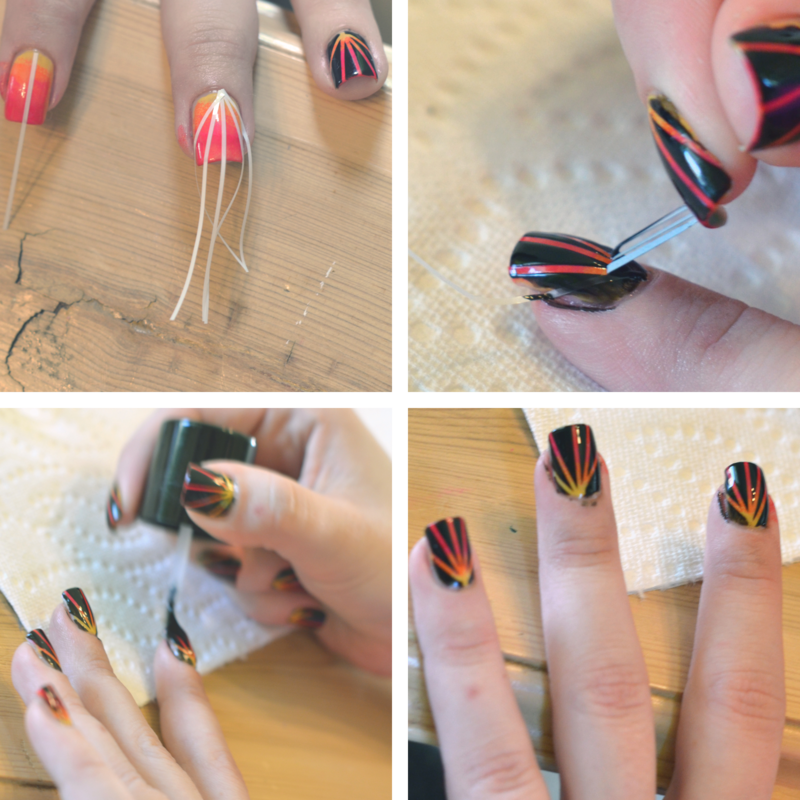 If you are interested in learning how to do the sunset explosion mani, click here. 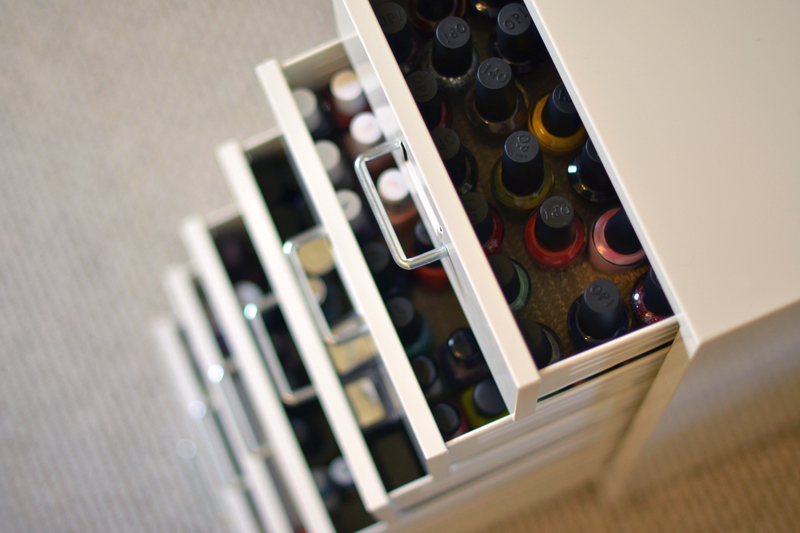 Also, make sure to Like The Lacquerologist on Facebook and follow her on Twitter or Pinterest. Thanks for checking out this post! As always, your comments and feedback are always welcome and appreciated! wow jenn…your really captured her…perfectly!! !…love this! Thanks, Nancy! I tried my best to capture Emily’s personality! Glad you like it! Fabulous collaboration! You both do great work Love you! Thanks, Jen! I appreciate that you’ve taken the time to look at both blogs! Thank you, Rachel! 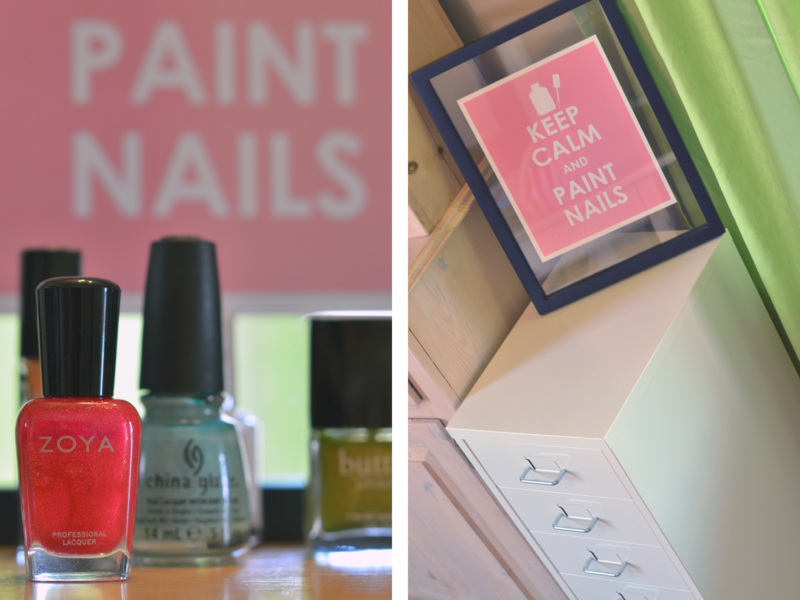 Glad you like the pictures and the mani! Appreciate your comment!